you're right! Why do we have to transport expensive Atom when we could easily and cheaply share Bit. For my Master thesis,I read and found really interesting this book I suggest you if you might not know. 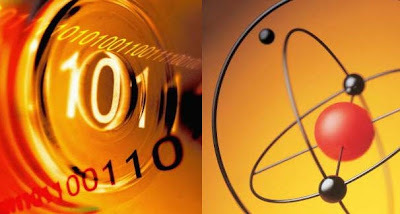 The author started the similar comparison between Bit and Atom to explain more than a decade ago, all the services developed today using the advantages of Bit. I will send you and email because I'm really interested by the Web Academy program. The age of access : the new culture of hypercapitalism, where all of life is a paid-for experience / by Jeremy Rifkin. New York : J.P. Tarcher/Putnam, c2000. The major challenge for digital data is permanent storage. How do you keep data for hundreds of years? Books are not perfect but we still have books from hundreds of years ago. Can that be said with data from only 30 years ago? Currently there is no universal storage media to archive digital data for long term and retrieve it efficiently.